1.3. Using the generic abstraction 如何使用我们自己实现的GenServer? Run an infinite loop in the process. Send a response back to the caller. 1.3 Using the generic abstraction 如何使用我们自己实现的GenServer? 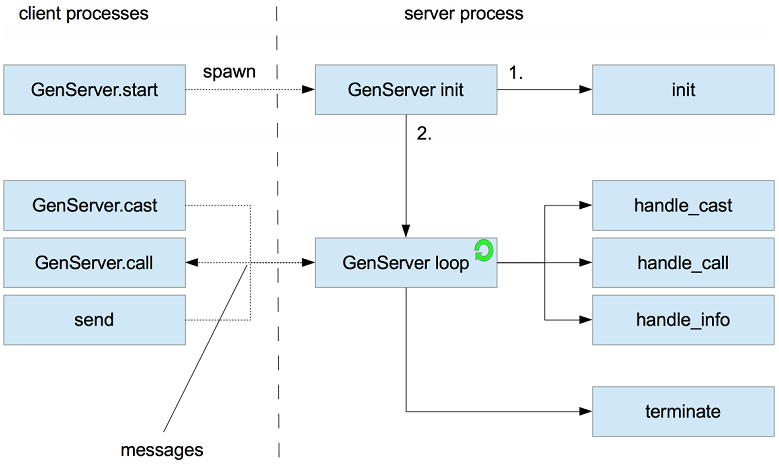 ServerProcess 中消息类型有 :call 和 :cast 对于 GenServer 则是 :"$gencast" 和 :"$gencall"
behaviour does not specify such callback.